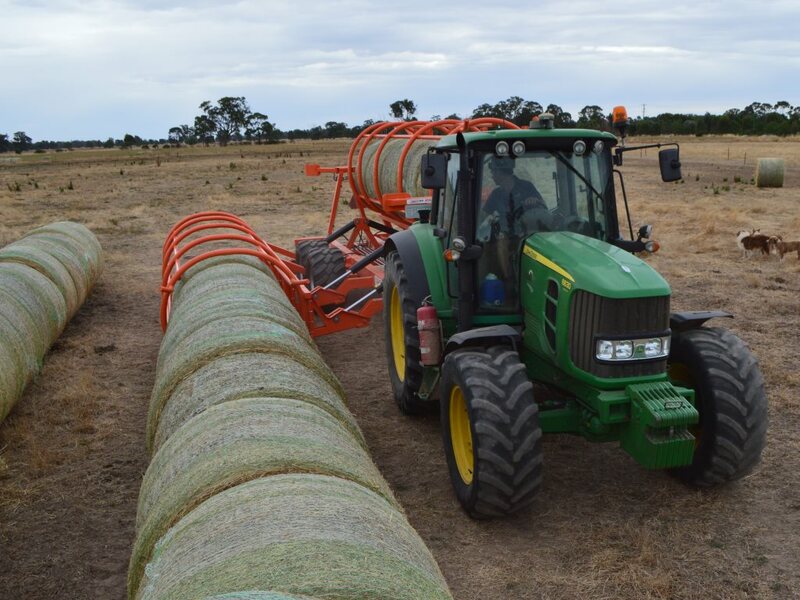 Customers are invited to place their pre-orders for Arcusin Bale Handling Equipment prior to 22 July 2018. ACF Equipment Suppliers distribute for brand Arcusin, the Spanish manufacturer produce the Auto-Stack XP & FSX models. For those in the hay game, you can’t look past bale handling equipment in order to increase your productivity and reduce handling costs. The brand, Arcusin has contributed over 40 years of experience designing and manufacturing bale handling units in the worldwide agricultural sector. 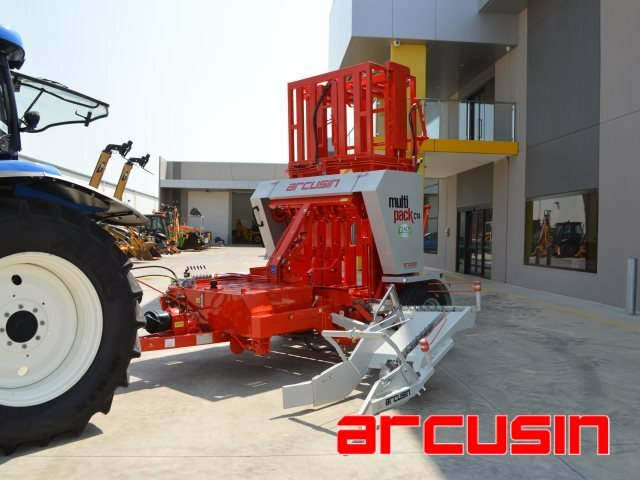 Distributed in Australia by ACF Equipment Suppliers, Arcusin’s Auto Stack XP & FSX model are an efficient means to move bales, only requiring one operator and providing safe and easy unloading. Looking closely at the design of the Auto Stack, there are some components and features that separate the Auto Stack from other bale stackers. The pick up has been designed to eliminate bale drag, with the state of the art bale detection and guidance, the floating single turn pick up delivering bales safely without contamination and damage. Move those round bales, further and faster with the Panther R10 Bale Chaser. With the load space for 10 round bales, the R10 offers an option for easy and fast transportation of bales. There is no need to tie down the load, and no damage to bales. The frame lowers in the field to pick up the bales as they lie, and then raises for transportation. Only requiring one operator is a big plus for farmers, reducing handling and labour costs. Don’t miss out on owning a Multi-pack this season. The new model C8-14 can produce packs of 8,10,12 or 14 small bales. Although some parts of Australia have been experiencing some very dry conditions, we are getting a lot of enquiries from customers on these units. Don’t get stuck, manually handling your bales this season. 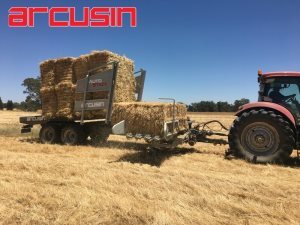 The Arcusin Multi-pack offers high compaction and gets those bales off the paddock and into packs for storage and transport! Improving productivity is often a conversational point for many people running an agricultural business. Keeping costs down is important to your bottom line, while there is a need to keep your productivity up. ACF Equipment Suppliers proudly supply Arcusin Bale Handling Equipment for this reason, it is a quality product that only requires one operator and maintains maximum output due to reduced handling of bales. 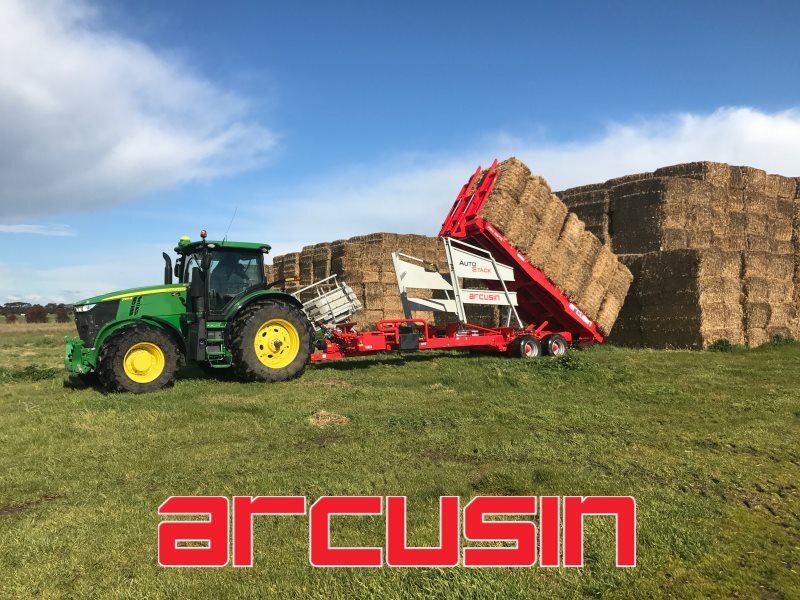 Arcusin’s other product the Multi-Pack is suitable for picking up small bales as they lie in the paddock, compacting them into a pack for ease of transport & storage. To find out how you can improve your productivity in bale handling, call ACF today 1300 477 386 to speak to a bale handling specialist.